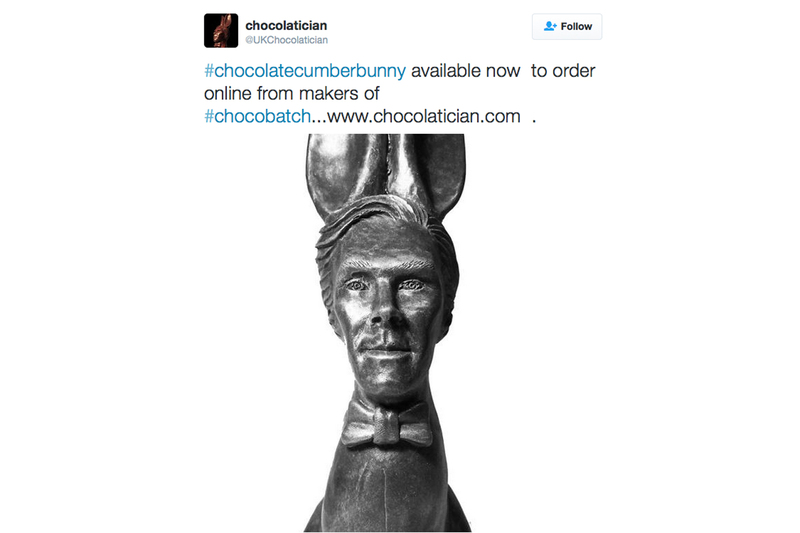 Benedict Cumberbatch x chocolate x bunny: this is the stuff that dreams are made of… and sometimes dreams come true. Remember back in 2015 when a creative chocoholic rendered a life-size version of Benedict Cumberbatch out of her favourite foodstuff? Remember Chocobatch? Either way, let us acquaint you with phase two of Cumberbatch’s confectionary adventures. Meet Cumberbunny – a bunny-Cumberbatch hybrid bound to make your Easter Day that bit more delightful, and delicious, or frightening (depending on your opinion of Cumberbatch and how haunted you are by human-animal mash-ups). 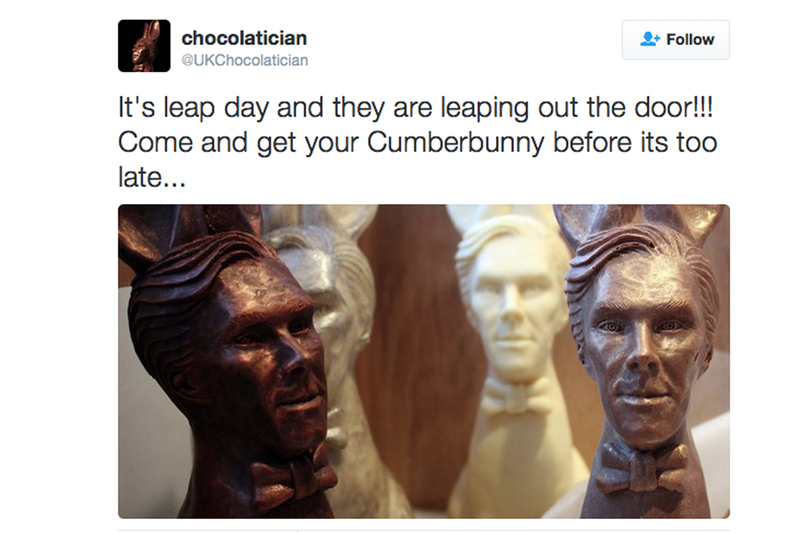 Jen Lindsey-Clark, the woman responsible for transforming 500 bars of Belgian chocolate into the aforementioned Cumberclone this time last year has now lovingly sculpted another chocolate-y tribute to the Sherlock star. Cumberbunny weighs in at 400g and arguably looks even eerier than his predecessor. It’s a classic Easter bunny sporting a 39-year-old man’s face and a jaunty bow tie. Important question? Which part of the Cumberbunny will you munch off first? We’re going to start with the face. Most definitely.